Galvanized metal, distressed wood, or chicken wire – the MountainBilly Mercantile has the perfect basket, caddy, tray, or bin to add to your Rustic Home Decor! Add a rustic touch to your modern beverage & soup pods with our Roast Coffee K-cup Caddy. Store your local market fruit and vegetable finds in the MBM’s Chicken Wire Storage Bin Set. Display your homemade masterpieces (or store bought! We’re not telling!) with a beautiful, rustic Dessert Cloche or a Corrugated Metal Cake Stand. Line with a decorative napkin & serve your fresh, baked biscuits in our must-see Pig Bowl! A personalized Wood & Wrought Iron Serving Board makes a fantastic addition to your farmhouse Kitchen or a fabulous Gift for a friend, family member, or co-worker! What better gift for you or a loved one then a Personalized Family Serving Tray, an Engraved Wood Recipe Box, or a Custom-Made Cutting Board.  Show your pride for our great country with a set of Americana Galvanized Serving Trays – and when not in use, they double as Patriotic Wall Décor! 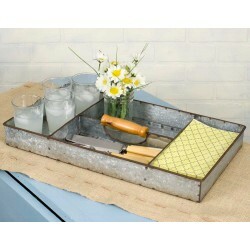 Or how about letting your husband & kids treat you to breakfast in Bed with our Divided Galvanized Tray. Use one of our resin Treens as a beautiful centerpiece by adding candles & dried flowers. The MBM Chicken Feeder Planter or Feed Trough make a great centerpiece! Think outside the box by using a Dutch Round Wall Mirror as a centerpiece or serving tray. Organize your silverware with one of MBM’s Cutlery Caddies (maybe a rotating Chicken Wire Utensil Holder?!) and your dishes will be beautifully displayed with our metal Dish Caddy. Store your spices in a Mason Jar Basket or a Two-Tier Jar Rack. Store, organize, display, or serve – the MountainBilly Mercantile has the perfect caddy or tray to suit your need!